I first encountered China Crisis on MTV’s “London Calling” program where a snippet of the video for “Working With Fire + Steel” was shown. I immediately bought the album of that name, which got a release on Warner Brothers in The States and didn’t waste any time in working my way back to their import only debut album in the elegant Peter Saville sleeve with the astonishing Trevor Key foto. The band became immediate favorites and my friend Mr. Ware put one of his sources in the UK to the task of sourcing all of the China Crisis 12″ singles for me. The “Hannah Hannah” 12″, which was the current UK single at my point of entry was helpful in showing a 12″ discography on the reverse of its cover. I wrote about the DLX RMs of the first three China Crisis albums last year and already have two of them just a year later. Be still my beating heart! Next up was the glorious “No More Blue Horizons [Fool, Fool, Fool].” It was the band’s second single and it wasn’t a hit but that doesn’t mean that the British public weren’t philistines at the time! The interplay between the synth trumpet line and the marimba is to die for and Gary’s vocals float through the breezy melody like a bird on the wing. The synth leads telegraph the latent Steely Dan influence which would manifest in a large way on album number three. By the late 70s dub reggae was a huge influence on many a post-punk band, but the only time I can ever see it manifesting with China Crisis was on the outlier to nowhere “Feel To Be Driven Away.” An entirely synthetic reggae number with the maximum contrast of the effervescent pop of “Some People I Know To Lead Fantastic Lives.” In the booklet here, Gary Daly rightly points it out as a missed single opportunity though he took pains to reveal that the backing vocals on the outro were producer Peter Walsh singing “someone I know” against his wishes but it was too late to remix. Has there ever been a least likely hit single [well, since “Ghosts” by JAPAN at least] than “Christian?” The somber ballad was delicate and airy with the slowest of tempos, but the gentle harmonics of it with the fluid fretless bass of Landscape’s Andy Pask flowing through its center was remarkably beautiful. A hushed, minimal, and oblique look at World War I, according to Gary Daly, so take that, OMD. You aren’t the only Liverpudlian band to take the great war as inspiration. Fortunately, the third single from the album was the hit and the band’s fortunes were established then and there. The debut single had been “African + White” on the Liverpool indie Inevitable. Their success brought Virgin sniffing around and the label remixed the track for a 12″ re-release. The Virgin reissue was not a hit either but one can hear what everyone heard in this band’s songs. The sensitivity and melancholy is there but with a real overriding tenderness. With a refrain like “life is a fever” “African + White” reflects the optimism that still informs their songs almost 40 years later. This was never a cynical band by any stretch of the imagination. “Are We A Worker” was a hybrid fusion of Soviet folksong touched with Spanish guitar for an unusual effect. I found that the album was brimming over with potential singles in the Top 40 paradox that’s my own skull. [If I like it, that’s “pop” right?] Along with “Fantastic Lives” I’d liked to have seen the gorgeously wet ballad “Red Sails” to have had a chance in the charts. The musicbox melody was enhanced to an amazing degree by the synth glissandos on every bar at the song’s climax. It took a very special band to venture there without the least hint of irony but that’s China Crisis in a nutshell. These guys are in awe of the beauty that they create. The album had a fantastic ambient ending with the brief instrumental “Jean Walks In Freshfields,” because Gary wanted to cap the album with an Enoesque ambient moment. It was the first indication that the band had a viable sideline in pure ambience, but far from the last. As we’ll be seeing next as disc two beckons. “Lowlands” was much closer to the ambient territory that always served the band well. The demo of “African +White” still had the rhythm box set to “cha-cha” but was a much thinner production; almost voice and rhythm only. The extended 12″ A-sides were all of the circa 1982 form; mildly extended tracks with extra instrumental vamping and breaks to make them longer. In the case of “No More Blue Horizons [Fool Fool, Fool]” this can only be a good thing. “No Ordinary Lover” was the slightly Oriental-sounding B-side to “No More Blue Horizons [Fool, Fool, Fool].” It was a perky vocal number. The real payload was “Watching Over Burning Fields,” a long, ambient piece that finally took the time to stretch out at six and a half minutes. Since “No Ordinary Lover” has the lyric “watching over burning fields” these songs are sometimes mislabelled on various China Crisis releases, but thankfully not here. The non-LP single that followed the album is rightfully here. 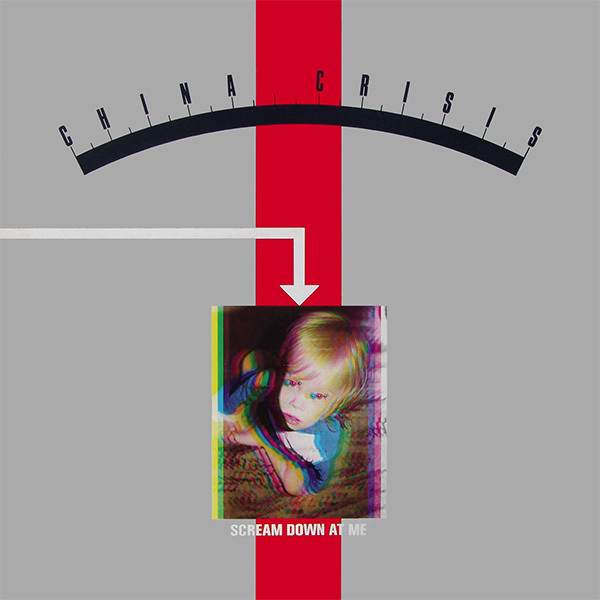 “Scream Down At Me” was a radical shift to upbeat dance music that must have been a very unlikely followup to “Christian.” It didn’t chart, but the atypically extroverted sound was the one time that the band released a single in this period that was so raucous. The Geoff [Afraid Of Mice] Kelly fretless bass solo against the furious timbale solo [with female backing vocals!] was the closest this band ever came to the Duran Duran sound. The B-side “Cucumber Garden” was a little more like what we all expected from China Crisis; an introverted left-field long buildup for a long seven minute track. The real payload on this DLX RM were the BBC Peel Sessions from April 1st, 1982! Good thing Peel was a fan, as these tracks, recorded in advance of the album were an astonishing glimpse of the band re-imagined fully in the technopop mold! China Crisis had a rep as a synth duo from their early days that doesn’t really tell the story correctly, in my opinion. They were way too sensitive for that sort of thing, but you wouldn’t know it from the all synths + rhythm programming trio versions with Dave Reilly filling in on drums/percussion. These are sharp little numbers that reveal that China Crisis could have given Talk Talk a run for their money. “Seven Sports For All” differs greatly from the album version. “This Occupation” is little like the 7″ version of that song which would figure on the “Wishful Thinking” single in B-side form. It’s actually more like the remixed 12″ version of that song, which is a great thing indeed! Though ultimately these two tracks sound tentative and inconclusive. As if they hadn’t worked out all of the kinks as the tunes seem to peter out around the three minute mark. At least the BBC session of “Be Suspicious” is here and given that the song had been around the block by then, it sounds far less tentative. It even has an ending. Finally, “Some People I Know To Lead Fantastic Lives” is almost all hyper-kinetic beatbox as it seems like the BPM quotient is a good 30% faster. These Peel Sessions are very fascinating and the real gems on this DLX RM. The mastering by Andy Pearce and Matt Wortham is very good, and after the DLX RM of “Diary Of A Hollow Horse” in 2013, China Crisis fans have been withering on the vine for several years wondering when the band’s imperial period was going to get the love. That time is now [2017, actually] and I recommend buying in haste before these items are three figures. 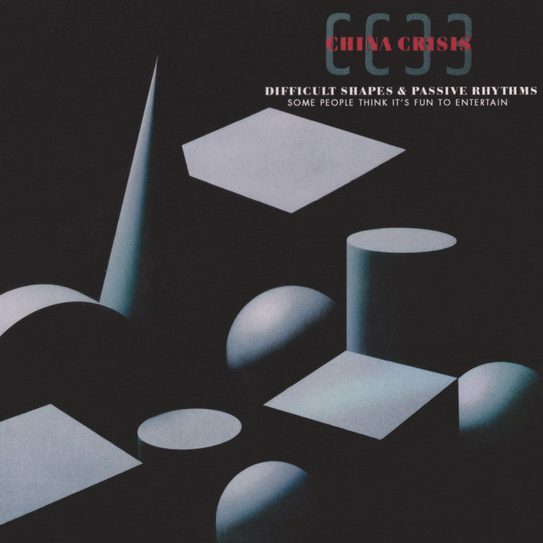 This entry was posted in 30 Days - 30 Albums, Core Collection, Designed By Peter Saville, Record Review and tagged 1982, 2017, China Crisis, Difficult Shapes + Passive Rhythms, DLX RM. Bookmark the permalink. The beauty of listening to Difficult Shapes + Passive Rhythms is right at its beginning. Seven Sports For All is a naive, urgent, Pop song that hooks you in. It makes you wonder just where things are going to go…From ACR’s Funky/Jazzy influence, to the Quirky-Pop of Talking Heads, Gary and Eddie give a peek at what they want to present. But it’s track 2 that will take you places! No More Blue Horizons reigns in the sprawl of the album opener and concentrates on distilling a beautifully produced piece of timeless Pop. The instrumentation, the vocal arrangement, the blissful horns and relaxing marimba all elevate NMBH to classic status in the CC canon. 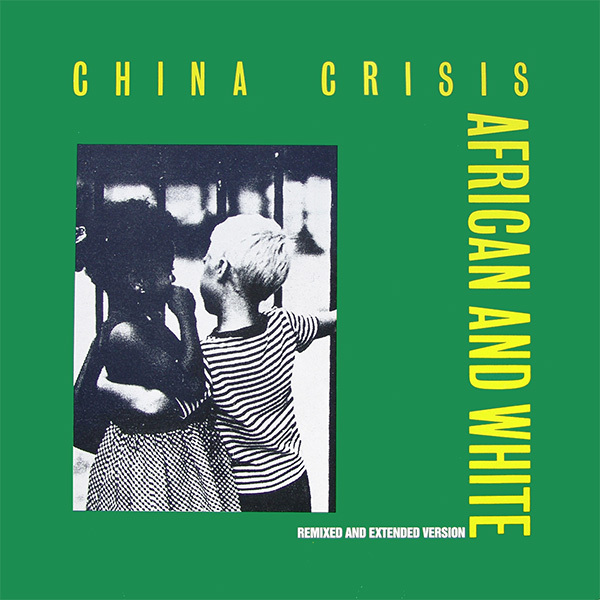 As much as I love Christian (it really is a kindred spirit of Japan’s Ghosts) and African and White, it’s No More Blue Horizons that is a statement of the sound of China Crisis. Echorich – You nailed it right on the door of the China Crisis church. How in the name of pop did that song fail to connect with an audience? It’s perhaps the most splendid song of its era. IIRC, I got introduced to China Crisis via the highly influential (on me) Methods of Dance compilations, and thus “No Ordinary Lover” was probably my first CC track, followed by “Wishful Thinking.” This second track convinced me that I needed everything they put out, since they had (remember my perspective is from only two songs at this point) cracked the magic formula of intelligent, crisp soft rock. I think this album was my first album purchase of the band, mostly because I love the title so much (still easily in my Top 10 of album titles ever), and I of course finally got an education on their variety (but you could still sneak them into a soft rock FM stations playlist if you were careful!). This is one of the few bands I’d really like to see play live before they retire from it, and I came thisclose to seeing them perform in NYC a few years ago (sadly they cancelled that gig in favour of one outside the area I was in). “African and White” and “Some People I Know” were instant classics with me, alongside “Christian” and “Red Sails” (which, before hearing, I presumed to be a Bowie cover — an idea that I would still like to hear from them, actually!). It’s a thoroughly delightful album, so much so that it was quite a while before I finally got around to owning Working with Fire and Steel, the album “Wishful Thinking” is actually from. Again, IIRC someone (probably the Monk) played me “King in a Catholic Style” and I had to get that album first! 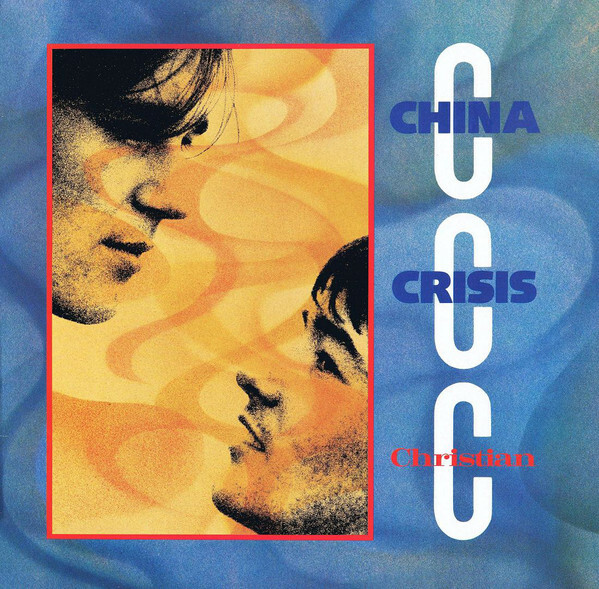 This album was my first introduction to China Crisis too having heard Christian in the charts. I then went back and bought all the preceding singles, African and White, Scream Down at Me and Fool. What’s interesting is that the album is more of a patchwork with pieces sewn together than a single planned and recorded album (which the next two albums would be). In the early days when Eddie and Gary had signed to Inevitable records the owner, Jeremy Lewis, oversaw their first sessions for release which included African and White, Be Suspicious, Scream Down at Me, Cucumber Garden and This Occupation. Only one of these tracks appeared on the album in a remixed version (which Gary states in the DLX liner notes that they didn’t like). While negotiations were going ahead to transfer to Virgin they started recording semi demo’s and b sides with their manager Gil Norton which make up most of side two of the album (the ‘Entertainment’ side as stated on the vinyl LP). So far so good but once they signed up to Virgin they were first sent to record with producer Steve Levine (who they didn’t like so ‘sacked’ him) where they recorded Seven Sports For All and the wonderful Feel To Be Driven Away and a planned to be included new version of No Ordinary Lover which ended up on the Methods Of Dance compilation instead. They were then sent off to producer Pete Walsh who they also didn’t like who they recorded the rest of side 1 with (titled for good reason the ‘Difficult’ side on the vinyl). They were much happier with their semi-demos with Gil Norton so Virgin made a deal with them to put those on the album rather than force them to re-record them but on the condition they included a side of commercially produced tracks from the other sessions. So the album has four different producers from four different sessions. Given that background it actually holds together rather well. African & White original single, unremixed version (which I assume is the version Gary does like but still decided to leave off) Be Suspicious (of which there was the original and remixed versions though there is little difference between the two), This Occupation (Jeremy Lewis produced version) and No Ordinary Lover (Steve Levine produced version though you can buy this as a download off Methods Of Dance on iTunes or Amazon), and if you want to be really pedantic the 7” edit and 12” (slightly remixed and longer than the album version by a few seconds) of Christian and the 7” edit of Cucumber Garden. What makes this so difficult is all these have either never been released on cd or have only been included on now very rare compilations in non remastered versions. The other thing that really disappointed me when it came to the liner notes is that Gary and Eddie only discuss the album tracks but none of the b sides or non album singles, in fact the notes don’t even mention who produced the b-sides at all. They did the same with the deluxe of Working With Fire and Steel and Flaunt The Imperfection (where you do get absolutely everything recorded included on the CDs from each era) though unless you already knew it you wouldn’t realise that ‘Never Too Late’ which is on the Flaunt cd set is actually an album outtake from Fire and Steel. Putting these irritants to one side I must say that the remastering of these three albums is the best I have ever heard. Richard Anvil – Yes, the booklet in this alludes to the production difficulties that the band had. And you’re right. It still holds together very well, considering. For my money, I like the Steve Levine tracks the least of it, though they’re not bad. This may be the best production of his I’ve heard. I am chagrined that the Jeremy Lewis 7″ of “This Occupation” missed these DLX RMs. I will have to give that Inevitable 7″ of “African + White” a digitizing to peer at it under a microscope since I have never heard the differences between the versions of its A/B sides and the Virgin versions. Casual listening sounded the same to me [30 years ago]. They could hav fit more on this as the album was 44 minutes and disc 2 was only 58. I assume the masters were not available or it was a case of editorial revisionism. And yet, the 7″ mix of “Animalistic” was included along with the “Day At The Zoo” mix on “Flaunt The Imperfection” even though it’s just an edit fade between them. I actually quizzed Gary himself online about the missing tracks and got rather a long reply which basically said they couldn’t fit everything on, no mention at all of missing masters. It is a shame in particular that the Jeremy Lewis produced Be Suspicious & This Occupation and the Steve Levine version of No ordinary Lover were left off. As for the remixing of African and White and Be Suspicious they both have the percussion higher in the mix and a deeper synth sound, but the differences aren’t huge really. to their albums all the way through. ‘king in catholic style’ 12 inch. but nothing else really stands out for me. maybe they’re not the group for me. or being an influence in all this. but still kind of cool. negative1ne – I like Steely Dan well enough but have never heard any of the new albums. It’s funny. China Crisis are such a wimpy band that either people love or are indifferent to. Many friends of mine love ’em but others still take a pass. I agree that it’s a shame back in the day that “Wishful Thinking” never got a remix but maybe that was to their benefit with hindsight. At most, it would have been a slightly extended version with about 45 seconds more. But maybe they could have gone the OMD “Souvenir” route with an extra verse instead of filler. That was always nice. council its ‘the boy who cried wolf’. in the lyrics and something else.